This is Part 3 in our series on the Holy Spirit. In this post I’m going to talk about Discerning of Spirits. 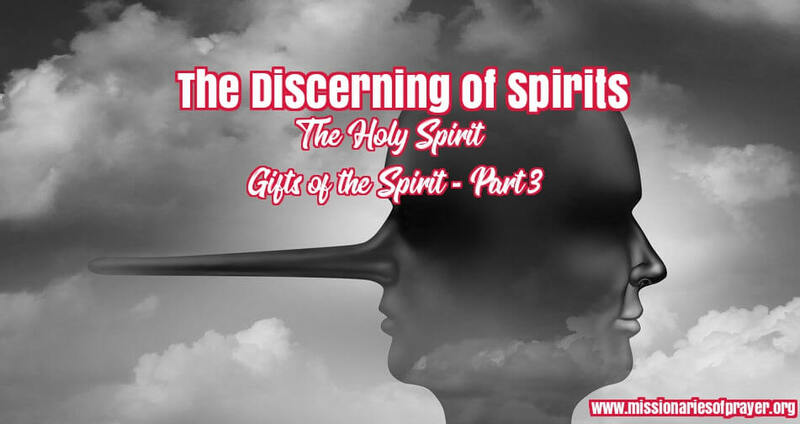 You can read Part 1 of the series on the Holy Spirit here and also Part 2 where we talked about the Cessation of the Gifts here. I have to warn you that if you don’t have this gift or you’re from a conservative church background this will probably read like a Sci-Fi novel. Of all the gifts of the Spirit this is the one I wish we all had. It is so critical in this hour/the end time church to have this gift. In the age of social media where anyone with a cellphone can be a journalist and anyone with a Facebook account can be an apostle, evangelist, prophet, pastor, teacher, don’t you want to know if a message is really from God, the enemy or a human spirit? 8 The Spirit gives to one the gift of the word of wisdom. To another, the same Spirit gives the gift of the word of revelation knowledge. 9 And to another, the same Spirit gives the gift of faith. And to another, the same Spirit gives gifts of healing. 10 And to another the power to work miracles. And to another the gift of prophecy. m. This gift imparts divine discernment to know if a prophetic message is from the Holy Spirit or from a human or demonic source. I’m going to give you a very simple explanation on how you identify the gift. In the natural realm you discern your environment with you natural senses. Sight, Sound, Touch, Taste, Smell. Let’s say you ordered a pizza and then you hear a car pulling up outside followed by a knock on the door. You go quickly to the door because you expect to see the pizza guy except as you are opening the door you see the flashing lights and then a police car and there’s a policeman at your door. Your entire mood will change before the policeman opens his mouth because you know it’s probably not going to be good. If you are a blind person you wouldn’t know that anything was wrong because you’d hear the car, you’d hear the knock but because you can’t see you wouldn’t get the flashing lights or see that it was a policeman. You would need to wait until he says “I’m officer so and so” before you know it’s not the pizza guy. You need your senses to discern what is happening in the natural. It is exactly the same in the spiritual realm. You discern with the same 5 senses except now they are in the spirit. You’ll quickly begin to realize that things are not always as they seem. You’ll make better decisions as a result and be able to help many in the body of Christ. All prophets have the gift of discerning of spirits. It works in tandem with the prophetic gifting. They may not have all 5 spiritual senses activated but they can actually prophesy by using only one or two. Seers are prophets with the discerning of spirits gift (sight) in operation (2 Kings 6:16-18). Nabi prophets don’t have sight but they will hear in the spirit. It is still the gift of discerning of spirits. I don’t think you can actually have a prophetic gifting unless you have at least one discerning of spirit activated. Using the same principle that I laid out in the post on Cessation of the Gifts of the Spirit, a real prophet can have (Gift of the Father) gift of prophecy, (Gift of the Son) a prophet, and (Gift of the Holy Spirit) the gift of discerning of spirits. There are many writing prophetic words that are not prophets and that is OK. Because the bible does say that we are to earnest seek the gifts (1 Corinthians 12:31) and Paul did say that he wished we all could prophecy(1 Corinthians 14:5). But I need you to see how the gift mix would look for someone who is not an actual prophet …(Gift of the Father) gift of prophecy, (Gift of the Son) evangelist, pastor, teacher, (Gift of the Holy Spirit) discerning of spirits. The prophetic intercessor would have the mercy gift and the faith gift as well. Let me say clearly these is no less important and can look very similar to the prophet. Let’s look at the Spiritual Senses that operate with the Gift of Discerning of Spirits/Distinguishing between spirits. Sight – If you can see in the spiritual realm then you have the gift of discerning spirits. You can also see through open or closed visions. I think at some point the Holy Spirit attempts to make us aware of this but many of us just brush it off as nothing. Sound – God does speak audibly to us. It doesn’t happen often but it does happen. Angels can also speak to us. This is one account of David inquiring of God on a battle strategy. Now we know there is no way an army can be marching at the top of a tree so this is an angelic army. God didn’t say when you see them, He said when you hear them. So David had to have his spiritual ears open to hear the marching to know when it was time for him to move out and defeat the Philistine army. Touch – Just as someone can touch you in the natural you can be touched in the spirit as well. Have you felt the touch of the Holy Spirit while you’re in a worship service? As a biblical reference there is the story of Jacob wrestling with the Angel of the Lord (Genesis 32:24-32) We know that in this wrestling match God touched his hip and the evidence of this is that he walked with a limp from that day forward. Taste – “Taste and see that the Lord is good blessed is the man who takes refuge in Him” (Psalm 34:8). What you are doing right now by reading this is eating what I am giving you. At the end of it you can decide if it tasted good or not. When the Lord told the disciples to eat His body and drink His blood did He mean this in the natural? No. It’s in the spirit. In the spiritual realm you can also taste things in your mouth as if you are eating it in the natural when you have this gift activated. I have a friend that has the gift of discerning spirits and she can smell in the spirit. The first time the gift started to manifest itself we were at a hospital together to pray for someone and they received Christ. She asked prior to praying with the person”Do you smell that?” I said “smell what?” She would let me know it smelled like flowers night blooming jasmine or something like that but of course there was no flowers around. The next time we were somewhere else praying with someone to receive Christ, which they did, and she also smelled the sweet flowers. I was even laughing at her saying you’re always smelling something. The third time it happened it finally clicked that every time someone was about to be saved she would smell the flowers. When He comes to offer Himself as a sacrifice for the sin of that person there is an aroma. Is He not called the Rose of Sharon? The Lily of the Valley? Death also has a smell – formaldehyde. This could also be a spirit that causes cancer. Some illnesses are actually demons. Demons also give off scent. Unclean spirits smell like the name sounds a pile of dirty clothes that have been sweat in and dried and smells musty. Yuck! You could see someone all the way across a room and smell something on them once your eyes make contact. They don’t need to be in close proximity. Because it’s a gift and you are smelling them in the spirit. For example, once my friend discovered that she could actually smell Jesus when someone was about to be saved, she would get excited and then ask who we needed to share the gospel with. We knew they would be saved before we even open our mouth because she can smell Jesus when He’s there specifically for the purpose of saving people. Isn’t that cool? In some people this gift can manifest itself like a sonar wave. Whales and dolphins use something called echolocation where they emit a sound and once it hits a target it bounces back to them. This helps them to find food and know what’s in their environment. Likewise, some with the gift of discerning spirits send out a wave (in the spirit) that can tell them what spirits are in a room. This is how they know where all the demons are in a room and how big they are. They didn’t see it. They didn’t hear it. They discerned it through some kind of spiritual sonar. Now I know this is a stretch for those of you who don’t have this gift but I’m hoping that if you’ve already started to see the signs of some of this in your life you won’t stifle it, sweep it under the rug or allow anyone to tell you that you are crazy. This is real. There are so many that have turned to dark practices that actually came out of the church. The reason for this is when they went to someone in the church looking for answers to their giftings the person told them it was from the devil. Since they didn’t know how to control or shut off the gift they went looking for anyone who could help them with it. Again, if you don’t have a gift and you can’t explain or mentor someone in it before you judge it, say the wrong thing and cause them to look to the dark side for answers perhaps you need to go pray about it and ask God how you should respond. Remember, all the giftings from darkness is a counterfeit of the Light. Every new age practice came from some biblical roots. It is just a counterfeit. So, do some research, find the real thing and send the person in that direction. Have you ever had a supernatural experience or a dream where you’re looking for some answers and tried to Google it? New age. New age. More new age. The church is so afraid to talk about certain subjects because they don’t want to be labeled as new age so then the new age comes along and takes it over. The same thing happened after I received the Holy Spirit and my gifts started to manifest. I had no one to talk to about it. I’m in a Presbyterian church. You can’t get anymore conservative than that. After trying to explain the word of knowledge gift to Christians who had been saved for decades, I decided to back off and go back to God with it. I almost stopped because I didn’t understand what was happening or what it was. I go to work, I go to church, I don’t watch tv or listen to the radio, I read my bible and I pray, I don’t go anywhere to learn this stuff and I’m in a conservative church, now I have supernatural gifts..where are they coming from? And that was it. He told me then, I am your mentor. I am the One who will train you. This is what the supernatural life looks like. Once you give control over to the Holy Spirit things are never the same. When things get too challenging for my mind I let Him know that I’m going to need a scripture. If you have giftings that you can’t share with anyone what you need to do is be reading your bible daily and praying. Ask God to teach you how to use that. Stay away from sources online that are questionable or you know are new age. It may sound like what you are experiencing but it is a counterfeit. I want to share a personal story with you of this gift in operation. True story. I was asked to lead a prayer group to pray over a conference. This was not associated with my church and all the people in the prayer group were leaders and participants in the conference but they all came from different churches. We met once per week to pray starting several weeks leading up to the conference. About 5 people from the prayer group attend to the same church. Well, their pastor, a female, heard that we were meeting every week to pray for this conference and decided to show up to one of the prayer meetings. She wasn’t invited, she just showed up. So they introduced me to her and then we get settled to start praying. Out of respect for her, I asked her to open up in prayer for us. The minute I closed my eyes what I saw made me open my eyes very quickly. I was going to put the image in the post but decided against it. Before I was a Christian (1981) I watched a horror movie called The American Werewolf in London, you can Google it and look at the images if you want to see what it looks like. I’m going to describe it…a giant wolf-like creature about 6 feet tall with protruding fangs with saliva dripping off the fangs in a stance like it was ready to pounce on me. This thing is about 4 feet away from me. Behind it were 6 other wolf like creatures not as big as the leader but still salivating with the fangs. I quickly opened my eyes and everyone still had their eyes closed and head bowed in prayer. I knew then that none of them saw it. I closed my eyes again and yep they are still there! They are inching closer to me and by this time I am freaking out. I opened my eyes and kept them open with my head bowed because I didn’t want to look at these hideous creatures. My heart is pounding and I am talking so fast the Lord… “what in the world is this? You’ve gotta get me out of here? Send the angels quick. What am I going to do? What do you want me to do? Help me dear God. Show it to them. Open their eyes and let them see it.” I was hyperventilating and freaking out inside because I didn’t see how I was going to get out of this one. So now she unveils her agenda for being there, she turns the focus of the prayer into the fact that if you don’t speak in tongues you’re not saved and filled with the Holy Ghost. Guess who didn’t speak in tongues? Me. And then she proceeded to say if you don’t speak in tongues I can pray for you to receive it. Does anyone here not speak in tongues? As if it was some word of the Lord. No, this was the agenda – discredit, disband the prayer group and pick up new recruits all in a one hour prayer meeting. I knew she already knew I didn’t speak in tongues so there was no point in me not identifying myself so I said “I don’t speak in tongues” So she says ok, I’ll pray for you. As she’s praying I am rejecting every word in the spirit while still frantically crying out to the Lord “You gotta get me out of here!! Make these people see what’s happening” When she finishes her prayer she says “Do you feel anything bubbling up in your spirit?” I said, No. Just then the Lord gives me a scripture. It was a Psalm. Sorry, I don’t remember which one because back then I didn’t write everything down. I know that it was a praise Psalm that seemed as if it had absolutely nothing to do with what was going on. It was harmless, non threatening and giving praise to God. I reached over and picked up my bible and started reading it in my mind. As I’m reading it I’m saying to the Lord …This isn’t saying anything?… What does this have to do with what is going on here now? What do you want me to do? Tell me what to do? So I put the bible with the page still open the lady sitting next to me picks it up and starts reading it aloud. She also puts it down with the same look on her face of “this has nothing to do with what is going on here”. Well let me tell you, even though I thought there was nothing in that Psalm, the other lady thought there was nothing in that scripture, that demon went BESERK!! She immediately began to manifest in the natural. Yes, now they ALL saw it. Her face started contorting (like the man in the movie into this werewolf) and then the voice came out of her mouth which was not her own saying “How dare you!” “Do you know who I am?” “You can’t talk to me like that” Please keep in mind I haven’t said one word to her other than I don’t speak in tongues. It was like the scripture had a trigger that acted like some kind of a “checkmate” in the spirit and she HAD to manifest. She was uncovered. She knew she was uncovered even though I didn’t say anything. Of course, I am still sitting there freaking out with her continued speech about how important she was and that she should be shown respect and how dare I do this to her. I didn’t know what she was talking about. The only good thing about this is that everyone around her saw and realized that it was a demon when her face started contorting so they all jumped back from her several feet. Imagine the people that were sitting right next to her. Some started speaking in tongues. I remember one other woman saying “Oh my God, Pastor what is happening to your face? !” Another man was saying “it’s not her, listen to the voice”. She gets up grabs her purse tells her husband “We’re leaving!”. Meanwhile her husband starts saying “Why? We should let her talk and listen to what she has to say” He’s talking about me. She glares at him and says “Did you hear what I said?” and he runs behind her out the front door. In my mind I’m thinking there’s the Ahab. What is even more amazing now that I’m writing this is that her husband didn’t seem disturbed by the fact that his wife just manifest a demon. Once they left the rest of the people grabbed anointing oil started praying out anything left behind out of the house. It was mayhem! They were all shaken and just in total shock. I fell to my knees on the ground and started weeping like a baby. I had never felt terror or fear like that. It made me realize when the bible said that Elijah ran and hid in a cave from Jezebel, it’s not a joke! He probably saw what she looked like in the spirit. So if you have this spirit of terror coupled with fear you are going to feel terrified. Especially if you are not prepared going in knowing that you are about to face it. I have come in contact with this after this incident on another pastor, this time a man, and he also gave me that same feeling in my spirit which told me exactly what it was. I’m talking about a full blow Jezebel spirit. This is not the same as one of these smaller demons that you may pick up on someone like a spirit of manipulation or a spirit of control. When these things are present as stand alone demons you’re not going to feel the terror. And most people label this on others a Jezebel spirit when sometimes it may not actually be that. As well as if could be but if you don’t have the gift of discerning spirits you may not pick up the others. Hope that makes sense. I can tell you that a full blow Jezebel never repents. The only thing that ever happens is she’s thrown down, she moves location and starts another church. She always has the Ahab encouraging the behavior so there is no change. They just move and set up shop elsewhere. It’s what happened with the two people that I saw with this spirit. Again, I’ve met people people with a controlling spirit or a spirit of fear or an intimidating spirit, this doesn’t mean they are a Jezebel spirit. These are the ones that I will usually counsel to go before the Lord and get delivered from that before it turns into something worse. I was terrified of her, even though she made absolutely no threats to me in the natural. The other thing I reflect on is that there has to be a connection between the Psalm that was read, the Jezebel spirit and Elijah. King David existed before Elijah and also Jehu which was the one that saw her destruction so I’m thinking Jehu probably used the same language used in the Psalm which was the trigger to the spiritual checkmate that happened once it was read. If this spirit heard the same Psalm right before its demise then I was basically telling it “You’re going down” without knowing that I was actually doing that. And that is why she got mad and manifested. Everyone from her church that was in attendance immediately started calling other church members and telling them what happened. The word spread and literally within 24 hours she lost her entire church. It is one thing to think your pastor has a Jezebel spirit because they have a controlling personality and a completely different thing to see the actual manifestation of it and hear the voice, you can’t unsee and unhear that. 1. If you are having experiences with smells and no one else has them, don’t discount it. Write down how it smelled, what was going on when you smelled it, what happened before and after and who was around. You will start to notice the pattern in the smells and what happens when you smell that particular smell or what you find out about that person after. The next time it happens you will be prepared to take the necessary action. 2. Understand that just because you are aware of the source or spirit behind someone’s behavior you still need to use wisdom and self control in how you use this gift. You have to be prayerful in asking the Lord to show you how to handle the information. 20 And they brought them to the magistrates, and said, “These men, being Jews, exceedingly trouble our city; 21 and they teach customs which are not lawful for us, being Romans, to receive or observe.” 22 Then the multitude rose up together against them; and the magistrates tore off their clothes and commanded them to be beaten with rods. 23 And when they had laid many stripes on them, they threw them into prison, commanding the jailer to keep them securely. 24 Having received such a charge, he put them into the inner prison and fastened their feet in the stocks. So again, what the girl was saying was not bad,“These men are the servants of the Most High God, who proclaim to us the way of salvation.” If you were standing around as she’s saying this you would think nothing was wrong with what she was doing but Paul having the gift of discerning of spirits recognized that this was a spirit of divination. She was doing this for many days. How did Paul handle it? It says in verse 18 he was “greatly annoyed” I would imagine after putting up with her for many days he was over it and so he addressed the spirit, not the girl, and cast it out. However, what happened after that? He ended up in prison. So, was his motivation of being “greatly annoyed” the right reason to cast it out? Perhaps not. Annoyance is not a fruit of the Spirit. There is a timing issue with this gift. Understanding why God is showing you what He’s showing you and also when to address what needs to be addressed. Think about what happened in my situation, imagine if the minute I closed my eyes and saw these demons I quickly opened my eyes and began rebuking and speaking out against this woman. How do you think this would’ve turned out? Not good because at that point no one else saw what I saw. The spirit would’ve won because I would seem like a crazy person to everyone else and they would think I was rude for talking to their pastor in that manner when all she was trying to do was pray for me to receive the gift of tongues. I’ve seen people operate with this gift and they talk to other people about what they are discerning and the answer is always the same…I didn’t see that? I didn’t hear that? Are you sure? Now they think you’re being judgemental and critical. Now, what was wrong with Peter’s answer? On the surface it sounds like a concerned disciple who loves Jesus. However, Jesus’ response tells another story that the source of Peter’s response was the devil Himself. I also want you to pay attention to how Jesus handled the situation, He addressed the spirit and not the man himself. Likewise with Paul, he addressed the spirit of divination and not the girl. We need this gift in the end time church! Another point I need to make is that I’ve come to realize even with dream interpretation, it’s not really one gift but rather a combination of other gifts of the Spirit. To accurately interpret your dreams or the dreams of others, you need a word of knowledge, a word of wisdom, a prophetic gifting and also discerning of spirits so you that you can know if the dream was from the flesh, the enemy or God. So you need this to interpret your dreams. So here is a prayer for this gift. I hope you understand why I wish you all had this gift. I’ve seen too many people get wounded because they don’t discern the spirits. Holy Spirit, I pray that you would give me the gift of discerning spirits so that I will be able to discern the source of all the information that I read and what I listen to. I need to know what is from You, the enemy or the human spirit. Give me the guidance and training I need to steward this gift in a way that glorifies you and builds up the body of Christ, in Jesus name, Amen. Do you have the gift of discerning of spirits? Share with us below. How has it manifested in your life and how has it helped you in your Christian walk? Remember you don’t need to use your full name if you don’t want to be identified. Your initials or anonymous is fine. In the next post I’ll share on the word of knowledge gift. I have really been blessed since I found this page. I ask that you help me pray for my husband. We have been married for 10years and blessed with a son who is 7years old. He has been Unfaithful in our marriage for some years now. I occasionally confront him with his acts but he’s still unrepentant. I have been praying for him for a while now and convince in my spirit that God will convict his heart. I pray daily for the grace of forgiveness so that can I be able to forgive and pray for him. I got so many signs from God to wait upon Him concerning my husband. In the course of praying for my husband I got pregnant after waiting upon the Lord for 7years for another child unfortunately I had a miscarriage, but the good news is that the day I lost the pregnancy in my pain God gave me a gift, the infilling and manifestation of the Holy Spirit and it’s been an awesome experience though I know my husband still see this strange women I am confident that the Lord will reveal Jesus to him and convict his heart in a way that only He can. I just ask that you are also remember my husband in your moments of prayer. His name is Godwin. Praised be the Name of Jesús. Iam a believer of Jesus Christ and desire to draw close to him each day of my life. I thank God for getting to this site. I have desired so much to know The Father and the Holy Spirit’s gift in my life. The gift of The Son; an evangelist. If i can be assisted and directed to clearly know the above mentioned gifts i will appreciate. Sometimes back, i could see in the spirit images and faces of people and i would pray for them. Sometimes i used to see dreams about people, situations that came to pass only to repent because i did not pray as i ignored. Nowadays, thete is foul smell i get whenever i go to the marketin our town area and this hapoens in a particularly street. 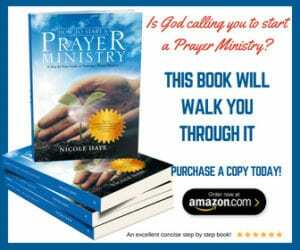 Thank you so much Pastor for sharing your past experiences this helps so much to connect with my spiritual life. God bless you and replesh you spiritually.